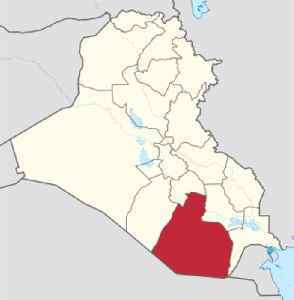 Muthanna Governorate or Al Muthanna Province, is a province in Iraq, named after the 7th-century Arab general al-Muthanna ibn Haritha. It is in the south of the country, bordering Saudi Arabia. Its capital is the city of Samawah. 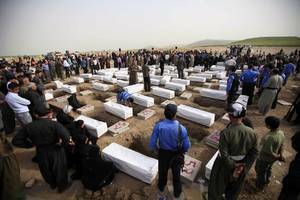 A mass grave has been discovered by local authorities from the southern Iraqi province of al-Muthanna containing the bodies of people believed to have been killed during the former Ba’athist..